Ever wondered who would win in a fight between Sword Art Online’s Kirito and Valkyria Chronicles’ Selvaria Bles? Well wonder no longer as we answer this question and many others as the Up All Night Stream plays mega-crossover fighting game Dengeki Bunko Fighting Climax. Update: Stream Finished. Thanks for watching. You can see the whole stream below. 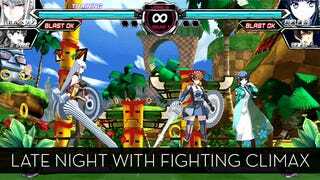 Dengeki Bunko Fighting Climax was released in Japan for the PlayStation 3 and PlayStation Vita on November 13, 2014. There is currently no word on an international release.